Online sources of income, which are also referred to as online sources of revenue, are sources of revenue which either exist online or can be accessed using the internet as a medium. A source of revenue is any source or medium which a person can use to earn money. There are many different sources of revenue which people use. In the current era, sources of revenue are divided into two main types- online sources of revenue and offline sources of revenue. Offline sources of revenue are the sources or mediums which exist in the real world and can be accessed physically without having to use the internet as a medium. Why is it important for an online source of income to be completely Halal? It is crucial for an online source of income to be completely Halal because it is mandatory for Muslims to use Halal sources or mediums to earn an income. Islam forbids the use of Haram sources of income, which is the reason why it is important for the online sources of income which Muslims use to be completely and purely Halal in every meaning of the word. A Halal source of income is a source of income which possesses all the properties of a Halal source of income and is in accordance to all of the rules regarding income and revenue which are a part of the Sharia (the compilation of rules which Muslims must follow throughout their lives). Blogs are an online source of income that is completely and utterly Halal in every meaning of the word. This means that a Muslim who wants to use an online source of income to earn money can use blogs to earn an income without any hesitation whatsoever. Where a person cannot earn a lot of money if they use social media as a source of revenue, one cannot deny the fact that social media is an online source of income which is completely Halal. Muslims who seek a Halal online source of income which they can use should also consider using social media as a source of income. 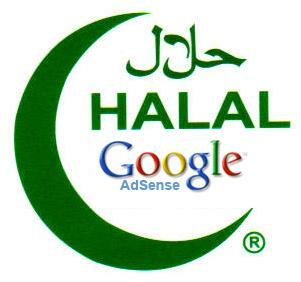 Another one of the top 5 online sources of income which are completely Halal is Search Engine Optimization. A Muslim can definitely rest assured if they work in the field of Search Engine Optimization because it is a completely Halal field of work. Content creation is another online source of income which is completely Halal. In addition, if a person uses content creation as a source of revenue, they will also be able to earn a considerable amount of money without having to stress themselves out. Online tutoring is an ever-growing and rapidly expanding online source of income which is completely Halal and can definitely be used by Muslims as a medium for earning money. What do you think are the top 5 online sources of revenue which are purely Halal?